Home News Police warns against IGP Idris Clone account, says RRS Recruit is Scam. Police warns against IGP Idris Clone account, says RRS Recruit is Scam. The Nigeria Police Force on Monday, 17th September put a disclaimer on Facebook account posing as IGP Ibrahim K. Idris calling for recruitment into the Rapid Response Squad (RRS). The police, releaseing this via their social platforms says the IGP does not have a facebook account and that the recruitment posted by the clone account is a scam. 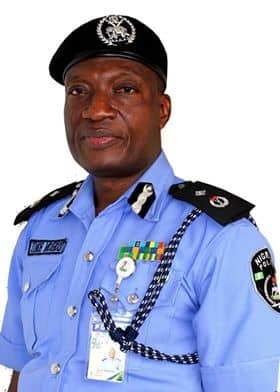 "The attention of the Nigeria Police Force has been drawn to a report on a FACEBOOK ACCOUNT posing as IGP Ibrahim K. Idris calling for the recruitment into Rapid Response Squad (RRS). The Nigeria Police Force wishes to state categorically that the said account is a scam, malicious and mischievous." "The Force is hereby informing the general public that IGP Ibrahim K. Idris does not have a Facebook account." "The purported recruitment mobilization of Police personnel into any Unit of the Force is not done online and does not need any form of money as claimed by the mischievous scammers." "The cyber crime Department of Nigeria Police Force has commenced investigation to arrest and prosecute those behind the publication." The public have been adviced to investigate any story trending on social media to get facts before responding to it.